> The Brewers defeated the Astros today, 5-3, in ten innings. 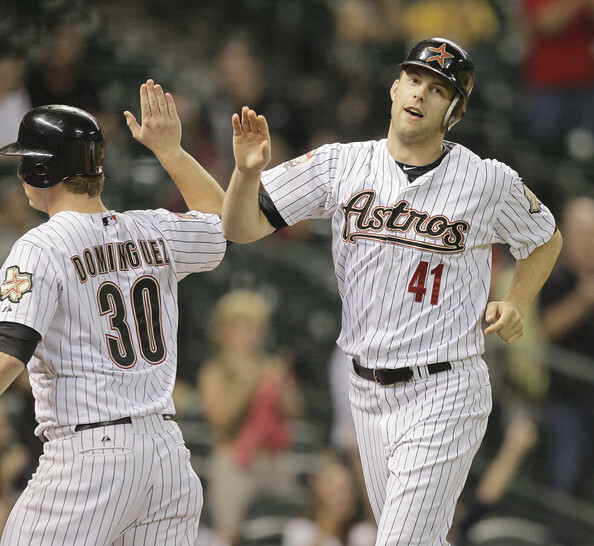 The offense had another relatively slow day, but it was just enough to squeak past the Astros. The Brewers’ bullpen was also stellar, holding the ‘Stros down to give the Brewers a win in their last game before the All-Star break. Zack Greinke was starting his second consecutive game, and it didn’t go very well. If you recall yesterday, he was ejected in the first inning after four pitches for spiking the ball at the ground. So he was able to come back and start again today, but went just three innings while giving up three runs on five hits. He walked two and struck out five. Greinke’s bright spot was that he struck out the side in third inning, but other than that, he wasn’t very sharp. Ron Roenicke had already announced prior to the game that Greinke wouldn’t go very deep, and that he wanted to get Marco Estrada, the original scheduled starter, his share of work in. All of the Astros runs came in the first inning. Jordan Schafer led off the game with a single, and Jose Altuve drove him in with a double. One batter later, J.D. Martinez hit an RBI single. Then, Greinke had a temporary lapse of command. After striking out Jed Lowrie and giving up a single to Chris Johnson, Greinke walked Brian Bogusevic to load the bases, then served up a bases-loaded walk to Chris Snyder. He struck out the pitcher, Jordan Lyles, to end the inning, but the damage had been done, and it was obvious Greinke was still shaken up about yesterday. 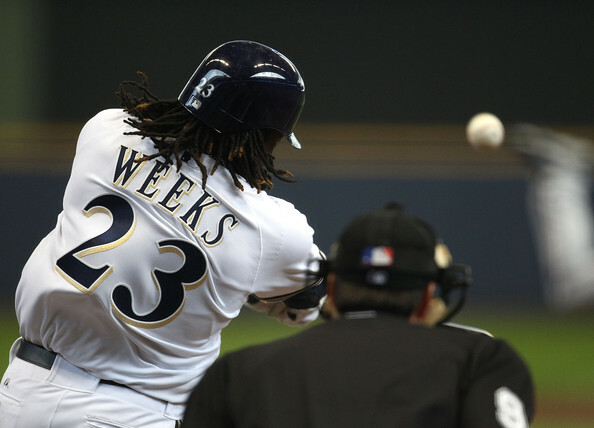 The Brewers answered in the second inning on Rickie Weeks’ solo home run, but didn’t score again until Aramis Ramirez’s RBI single in the sixth. The next threat came in the eighth inning. Astros reliever Wesley Wright walked Norichika Aoki to start the inning. After Nyjer Morgan moved him over with a sacrifice bunt, Ryan Braun once again came through in the clutch and hit a game-tying RBI single. Braun then stole both second and third base, but Corey Hart killed the rally. Neither squad scored in the ninth, so the game was sent to extras, which has been quite the theme for the Brewers this year. The Astros put in struggling reliever Fernando Rodriguez for the tenth, and he walked Morgan to start the inning. Morgan then stole second, which prompted the Astros to intentionally walk Braun. Then, with Ramirez batting, Rodriguez threw a wild pitch (apparently the last name Rodriguez automatically makes you an erratic reliever), and both runners advanced. So Rodriguez was gifted with another open base, and naturally walked Ramirez. Hart then made up for his rally-kill in the eighth by hitting a go-ahead RBI single. Weeks followed that up with another RBI single. Unfortunately, Rodriguez found his stuff and struck out the side from there, preventing the Brewers from putting up a big inning. 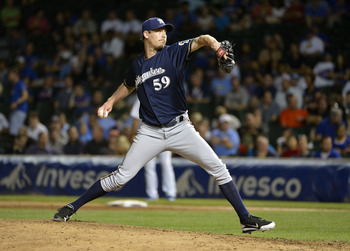 John Axford was on for the save in the bottom of the inning, and we all know how he’s pitched lately. It looked like we were in for another blown save when he gave up back-to-back singles to Snyder and Matt Dominguez. But, after Schafer moved both runners on a sacrifice bunt, Ax came back to strike out Altuve and Scott Moore to end the game and earn hi 15th save of the year. > As I’ve kept saying, the Brewers bullpen was outstanding today. Until Axford gave up the singles in the tenth, the Astros hadn’t gotten a hit since the second inning when Greinke was still in. Estrada did indeed get his work in, tossing three near perfect innings, blemished by one walk while striking out three. 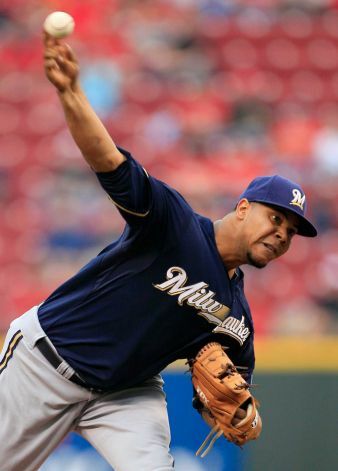 Jose Veras, Francisco Rodriguez, and Manny Parra each threw perfect innings of their own as well. I’m not going to get too excited about this, because it is the Astros. 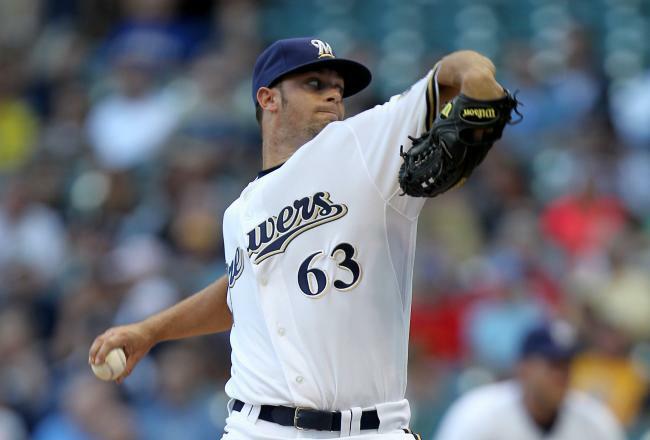 But this is a good sign and should be a confidence-builder for the Brewers’ struggling bullpen. > Don’t look now, Jayson Stark, but Weeks is legitimately starting to get hot. 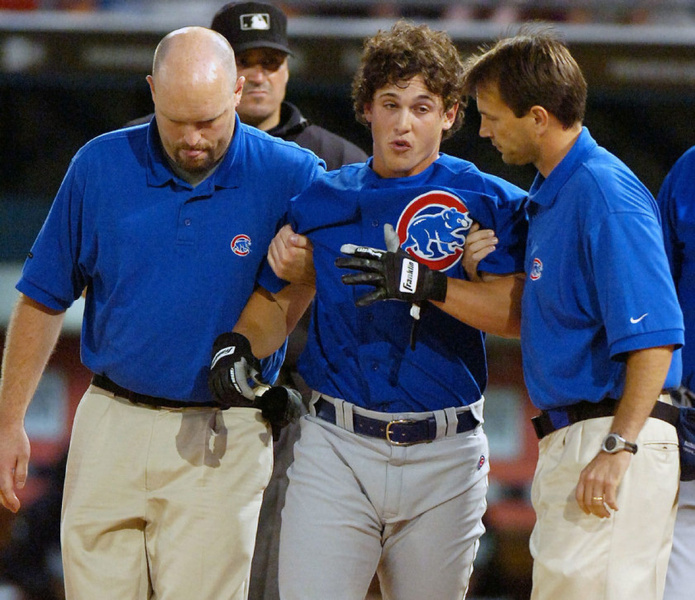 He went 3-for-5 today with two RBIs, yet his average is still at an excruciating .199. Guess he’ll have to wait until after the All-Star break to bring it over the .200 barrier. > Greinke already sort of made history today, being just the second pitcher this season to start consecutive games (C.J. Wilson of the Angels being the other). But now he’s got a chance to do something a pitcher hasn’t done since 1917: start three start games. Greinke is scheduled to start the first game after the All-Star break (which has been changed to four days this year), and that would count as three consecutive. If he only he were starting the All-Star Game too. > And that’s about it. After the ASG, the Brewers face a crucial stretch of division opponents in the Pirates, Cardinals, and Reds. This could decide the fate of their season, and whether or not they can get back in contention. Let’s hope for the best. Note- This is the first of a new series I’m doing where I’ll be reviewing all of the rotations in the NL Central for 2012. If you’re looking for news, then scroll down- it’ll posted afterwards. > We all know that the Astros just plain sucked in 2011. They were an MLB-worst 56-106, and finished a whopping 40 games out of first place to the Brewers in the NL Central. While it didn’t help that they traded away their only position players who were worth something- Hunter Pence and Michael Bourn- at the All-Star Break, their pitching was one of the primary causes for their awful season. The starting rotation was nothing special, but their bullpen was worse. Every time their starter had tossed a solid outing and Brad Mills handed it off to the bullpen, you just knew they were going to blow it some way or another. Anyway, I’m going to review their starting rotation now, and put them in order of how I think the rotation should go in 2012, along with their 2011 stats. Norris, in my opinion, is an elite pitcher just waiting to break out. He goes unnoticed because he’s on the Astros, but this kid has one of the nastiest sliders in the MLB. Since he’s a right-handed pitcher, that slider is near impossible for righties to hit, but it makes Norris vulnerable against lefties. I consider him a strikeout pitcher. In 2011, he struck out 176 batters in 186 innings, with an 8.7 K/9 ratio. That was slightly down from his 9.3 K/9 in 2010, but his overall numbers were much better than 2010. But, he can’t let that strikeout rate drop anymore. Anyway, Norris now has two full MLB seasons under his belt, which should set him up for nice year next year. But, his win-loss record might not show it, because I have a feeling he’s not going to get any run support. In 2011, Rodriguez was probably the Astros’ most consistent starter. Again, his record doesn’t show it (but no Astros’ starter record shows anything other than lack of run support), though. But, he’s already 33, and it’s rumored that the Astros might be shopping him to get rid of his large contract, so he may not be around too much longer. I guess I haven’t seen Rodriguez pitch enough to determine what kind of pitcher he is, but, judging by the amount of home runs he gives up (25 in 2011), I’d assume he’s a fly-ball pitcher. But, he’s K/9 rate isn’t bad, as it was 7.8 in 2011. His K/9 rate has steadily fell over the past few years, though, which could show a possible decline. Overall, I think Rodriguez still has a few good years left in him. They probably won’t all be with the Astros, though. After I did my best to praise the first two starters, I might not be able to do so with the next two. Myers had a great year in 2010, going 14-8 with a 3.14 ERA, and earning him the #1 spot in the rotation. But, he followed it up with an awful 2011, as seen by the basic numbers. He also became nearly a complete off-speed pitcher, with more than 50% of his pitches being change ups and curveballs, rather than fastballs. Myers gives up enough home runs, as he gave up 31 in 2011. He’s pretty much a fly-ball pitcher, and his K/9 is just 6.7. He also gives up a lot of hits, giving up 9.4 per nine innings. So I don’t think Myers has much left in him. But he’s on the trade block as well, so he may not be on the Astros for much longer either. Happ just had a flat-out bad season. I used to think he had talent, but, after last year, I don’t know anymore. There was a stretch of eight starts in which he gave up at least four runs in each of them, which explains his high ERA. And, even when he did have solid starts, guess what he didn’t get? That’s right- run support. Happ’s K/9 in 2011 was 7.7, and he gave up 21 home runs. I guess I don’t really know what kind of pitcher he is, but, whatever kind he is, he needs to get better at it. I think Happ will bounce back in 2012, but not by much. Lyles was called up during the year to give him a taste of the big leagues, and I think he has potential. He has an extremely relaxed pitching motion, which usually means good things for a pitcher. I still haven’t seen enough of him, but I’m guessing he’ll break the rotation next year. And that’s my review of all of them. There are a few more Astros starters who could break the rotation, like Kyle Weiland, but I think these are the five who have the best shot. Overall, I think the Astros rotation will, like the rest of the team, once again flop in 2012. Aside from Norris, I don’t see much coming from them next season. Anyway, come back tomorrow for another review- I’m thinking I’ll do the Cubs. > Today, I heard that earlier this week Tony La Russa said at some lunch circuit thing that he did tell Jason Motte to intentionally hit Ryan Braun in the wild game in August. That’s so typical of him, though. He lied and flipped out at the reporters after that game. So, after he retires, he comes out and tells the truth when he’s untouchable. Needless to say I’m happy that prick retired. I’ve had it with his crap; I don’t care if he’s a HOF manager- he certainly doesn’t have the personality of one.